0.1 The Global Engagement Fellowship, or GEF, supports UNC Chapel Hill students to conduct international social-­justice oriented summer projects. The Fellowship provides resources to support students with summer global experiences that are enriching for them and for the communities they visit. The Global Engagement Fellowship, or GEF, supports UNC Chapel Hill students to conduct international social-­justice oriented summer projects. 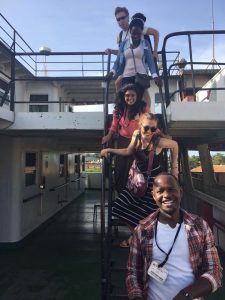 The Fellowship provides resources to support students with summer global experiences that are enriching for them and for the communities they visit. GEF supports undergraduates, graduates, and student teams working with grassroots organizations and communities abroad. 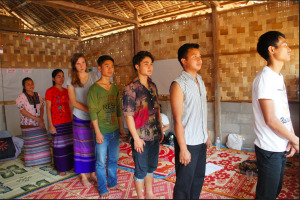 GEF targets students who may not otherwise have the means to afford a global experience. Students design their own service projects and can apply in the spring. The number and amount of awards will depend on the students’ proposed budgets. Students may receive up to $2,500. The average number of recipients is six per year. Project design can vary by approach or topic, and may focus on things such as: collaborative community engagement or community-service, relationship building with a community partner, solidarity organizing, skill building or learning about a topic of interest with a specific goal. Projects can be self-designed or associated with an ongoing effort or program in the country of interest. GEF prioritizes out of the box, independent thinking, and creative projects. Projects should incorporate three main tenants: collaboration with a community- based organization in the chosen country, engaging in a way that promotes social justice, and connecting the global experience to local action. • Project description – Proposal clearly details the goals and activities planned. • Feasibility – Time frame and project goals are clear, realistic, and feasible. consulted and is an active participant in the project planning. community involvement as well as personal growth, studies, and/or career plans. • Budget – Budget is sufficiently detailed, realistic, and appropriate, given the stated goals. dilemmas, and how they will seek out mentorship and expertise to guide them, before & during travel. • Global to local / back to campus – Proposal explains how student plans to bring the experience back to the Campus Y or to campus. • Social Justice – The project promotes social justice values and action. pursue or have the means to afford a global engagement experience. • Funding Impact – GEF strives to make as much impact as possible, with each disbursement. Although students can pair GEF funding with other funding sources to meet budget needs, students are discouraged from requesting GEF funding to support expensive, fee-based, third party provider programs. In the application you will be prompted to upload a PDF version of your resume. If you attempt to enter any other file type, your application will not be complete. For more information please contact the Y Global Office at unccampusyglobal@gmail.com.